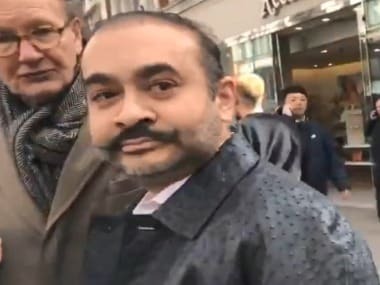 New Delhi: The question that the Central Bureau of Investigation (CBI) and Enforcement Directorate (ED) sleuths are asking Nirav Modi's associates and Punjab National Bank (PNB) repeatedly over the course of sustained interrogation is: Where is the Rs 11,360 crore? The investigators believe the trade mentioned by the companies is a sham and it was purely meant to cover up bogus purchases and sales. The major portion of cash, sources said, may have already ended up in secret accounts in the Bahamas and Jersey, a tax haven situated between England and France. The income tax authorities have shared some details of Nirav's offshore activities, revealing that he was operating several accounts in Mauritius, Singapore, the Bahamas and Jersey, which could have been used to park the money siphoned off from PNB. Huge sums by way of Letters of Undertaking (LoUs) were also raised in Antwerp, Frankfurt, Bahrain and Hong Kong which could have been laundered by moving back and forth through shell companies before reaching the final destination. "We are likely to send the Letter Rogatory to Cyprus as well. A huge amount of money has been raised and transferred through shell firms in Mauritius by Nirav and his aides. Another destination is Singapore, where he had created a layer of three shell companies to rinse the funds," sources said. 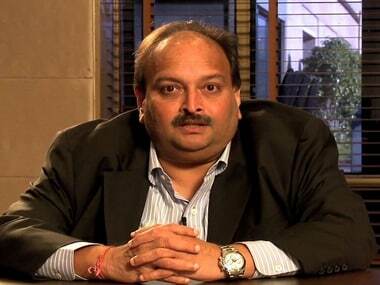 Nirav and his uncle Mehul Choksi also used three ghost companies — Mumbai Gems Private Limited, Shreeji Multitrade Private Limited and Jain Diamonds Private Limited — to provide them with accommodation entries. Basically, the entries were bogus purchases to launder money. Further, the income tax investigation conducted last year had revealed that the Nirav Modi brand, through its SEZ units at Surat had claimed huge deductions to the tune of hundreds of crores in the past six years. "On the basis of evidence gathered and facts of the case, it is inferred that the high-quality imported diamonds diverted from SEZ to domestic markets are sold in cash and low-quality diamond is exported to associated concerns at a high value. The difference in stock valuation has been worked out by IT investigation to the tune of Rs 1,216 crore in 2016-17, which represents the unaccounted sale of imported diamonds diverted to domestic markets," the income tax report said. 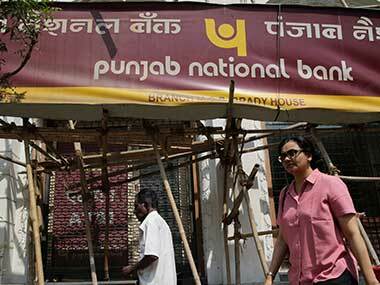 Foreign branches of Indian banks were not aware that PNB's system was compromised and that letters of credit were a complete rip-off, UCO Bank's executive director Charan Singh told Firstpost. The state-owned UCO Bank has an exposure of approximately Rs 2,656 crore in the PNB fraud case. Singh said the bank, as per the procedure, has informed the Hong Kong monetary authority of the scam and letters of credit issued to its Hong Kong branch in favour of companies owned by fugitive diamond merchant Choksi. "We gave the money to PNB's Nostro account after receiving a guarantee on the SWIFT channel. In a banking system, that means PNB is going to pay us back. We have submitted a regulatory filing to BSE as well as informed the authorities at Hong Kong. Hopefully, PNB is going to honour its guarantee. They cannot say SWIFT was exploited to benefit certain individuals by some employee," Singh said. 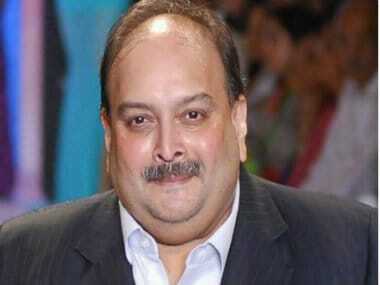 UCO Bank has offered 146 letters of credit to Choksi-owned Gitanjali Gems, Gili India and Nakshatra after it received SWIFT messaged from a PNB branch in Mumbai. On the question of PNB shifting blame to foreign branches of Indian banks for not raising an alarm in the complaint filed with the CBI, Singh said it is a completely wrong interpretation since these overseas branches had nothing to do with Choksi or Nirav, but were dealing with PNB. "It is understood in the banking system that a guarantee is issued by the bank only after following due diligence. It is not appropriate to blame the overseas branch in such cases because the customer is actually the bank that is issuing the letters and not the individual," Singh added. High-placed sources in the Ministry of Finance said that overseas branches of Indian banks with an exposure in the PNB fraud case have submitted the mandatory status report to the regulator of the concerned country. An officer of the Union Bank of India, on the condition of anonymity, said they did not suspect the messages received from PNB. The bank, that has an exposure of approximately Rs 1,900 crore in the Rs 11,360-crore fraud case has reported the matter to Indian exchanges and Hong Kong authorities. All-India Union Bank Staff Federation Committee's SD Mishra told Firstpost that LoUs worth over Rs 11,000 crore cannot be issued without top management knowing about it. Mishra also questioned PNB's audit team arguing that the trail is not difficult to detect. "Although Union Bank of India is not going to suffer any losses, we must make an example of this and prove the role of top officers and prosecute them. The banking system really needs a surgical operation," Mishra said.